Nora Roberts, because she weaves such fascinating tales about such interesting people. Her characters are so immediately likable. It’s so easy to get wrapped up in one of her stories. Easy to forget that I have all these things to do. It’s usually hard to put one of her books down. She has established herself as the leading romance novelist in the country, having written well over a hundred novels (this includes the futuristic romantic suspense series written as J. D. Robb, which is marketed in the mystery section) over a period of approximately two decades. Charles Dickens, because he had completed and published a novel by the time he was twenty-five or something like that, because he was a fantastic storyteller, having created the most interesting characters, the most intricately woven plots, with incredible detail. 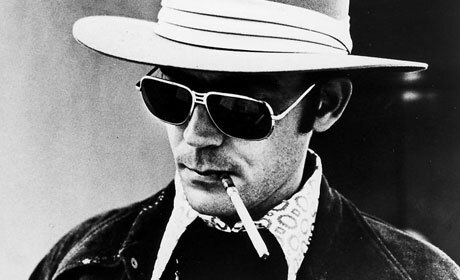 Hunter S. Thompson because he was a clever, amusing badass and an incredibly gifted writer. for the sixteenth inquisition essay, go here. As I told you before, I'm so with you on the Nora Roberts. Her books are like crack. I'm one behind in the Eve Dallas ones and am jonesing for the library to get it back.